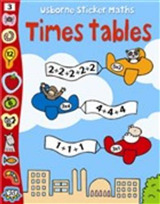 This title covers the times tables from 1 to 12 in a quick reference format, ideal for home or school. Visual learners will benefit from the fun colours, while pulling the tabs to reveal the correct calculations will appeal to kinesthetic learners. 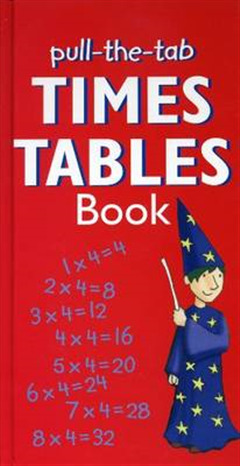 The Instant Answer Number Matrix at the back of the book provides all of the times tables at-a-glance. Most children find it hard learning their times tables. 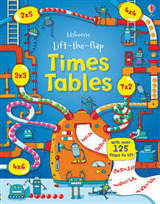 This colourful pull-the-tab Times Table book makes it really fun! Studies show that children concentrate and perform better on basic maths exams when the questions are printed on a pleasant coloured background. 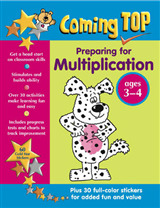 This book combines that visual learning technique with the fun of pulling tabs to reveal the multiples, a fundamental strategy used to engage children and allow them to interact with this learning tool. 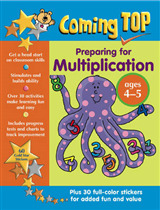 With the "Pull-the-Tab Times Tables Book", rote memorization will be a thing of the past.